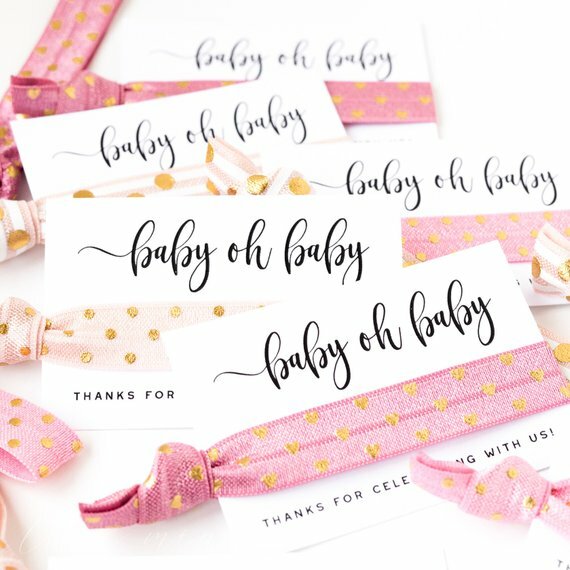 We've found ideas for baby shower party favor candles, handmade soap bars, bracelets, tea, and so much more! 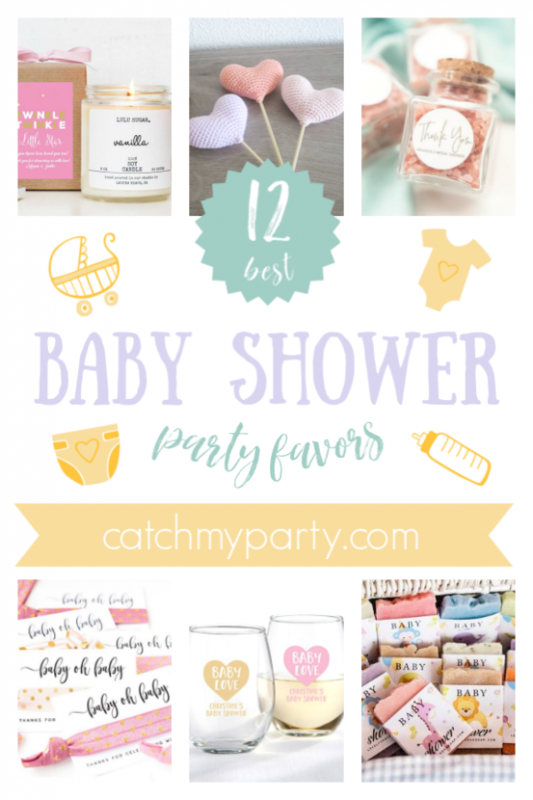 Candles make a wonderful baby shower party favor! 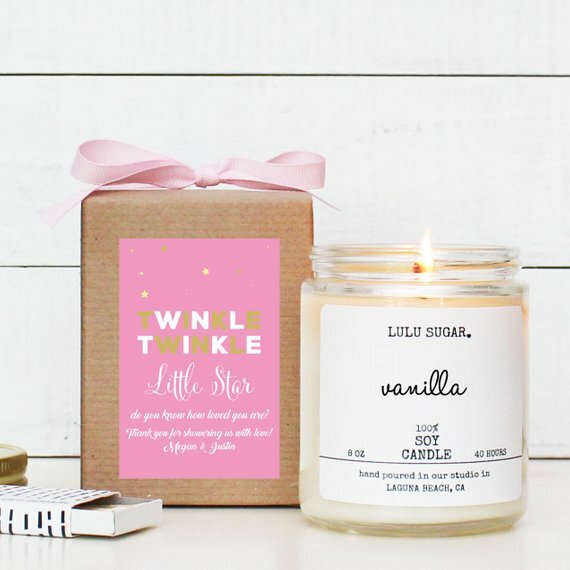 Not only does this one come in a pretty little package as it also leaves your house smelling beautifully of vanilla. What more could you want?! 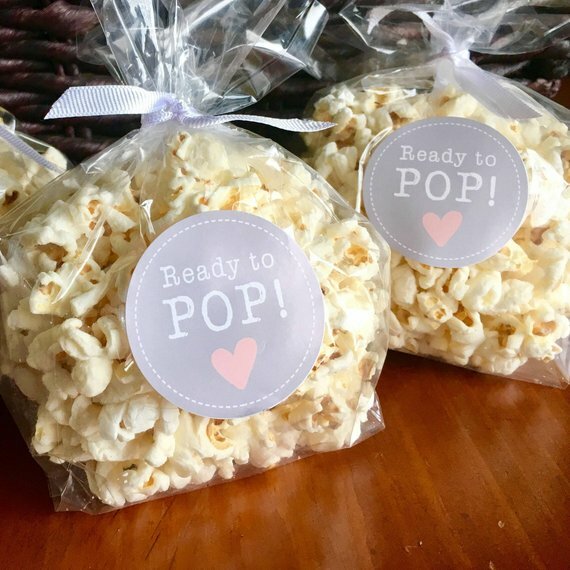 Bags of popcorn make a simple baby shower party favor that is quick, easy and inexpensive to make. Add this adorable 'Ready to Pop' sticker and you're good to go! Couldn't be easier. A soak in a bathtub can be a luxury for us moms, so why not treat your friends to a lovely bath bomb? These baby powder scented bath bombs are made with coconut oil and leave your skin wonderfully soft. 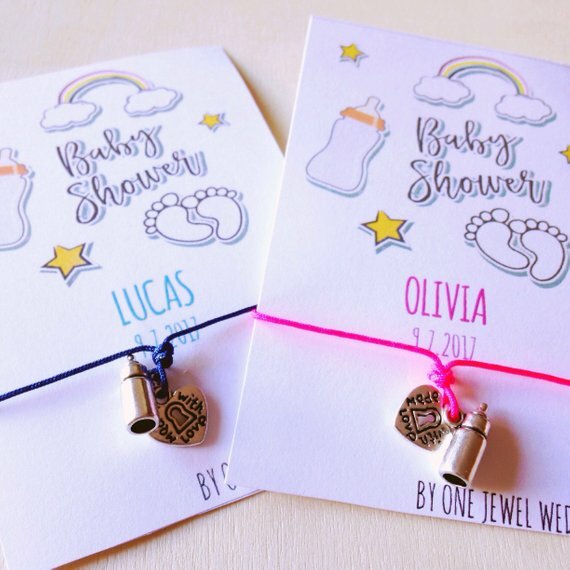 Another great baby shower party favor is one of these gorgeous charm bracelets. Each bracelet is made up of a bottle and heart charm and comes with a cute personalized keepsake card. 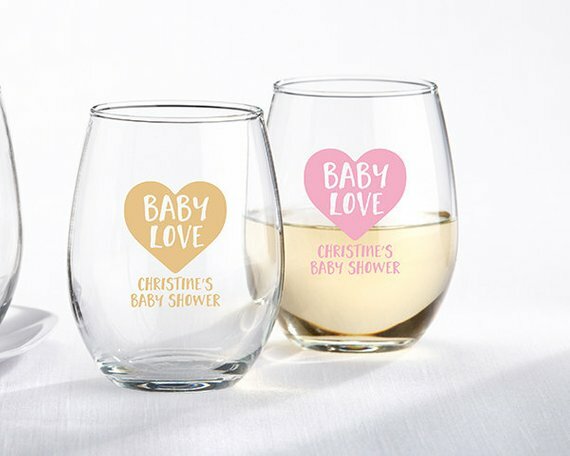 Let your guests drink to your new born baby as soon as they get home with one of these stunning personalized 'baby love' glasses. I'm sure they will be reminiscing your baby shower with each sip! 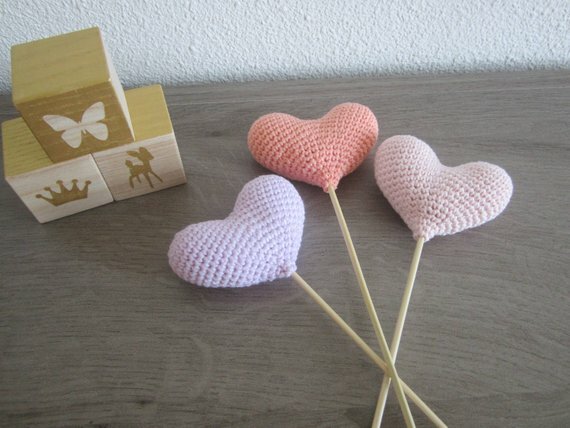 If you're looking for something a little different then these amigurumi hearts are a gorgeous baby shower party favor. They are so pretty and delicate, and make a wonder keepsake that can be placed in a vase or shelf. You can never have enough hair ties right? 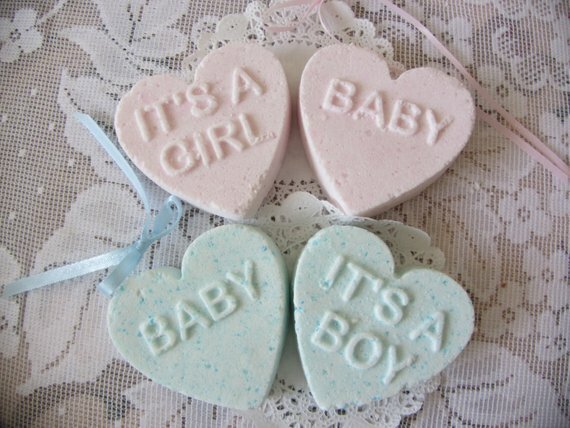 Treat your guests to a pretty new pink or blue one. Believe me, it'll be really useful! 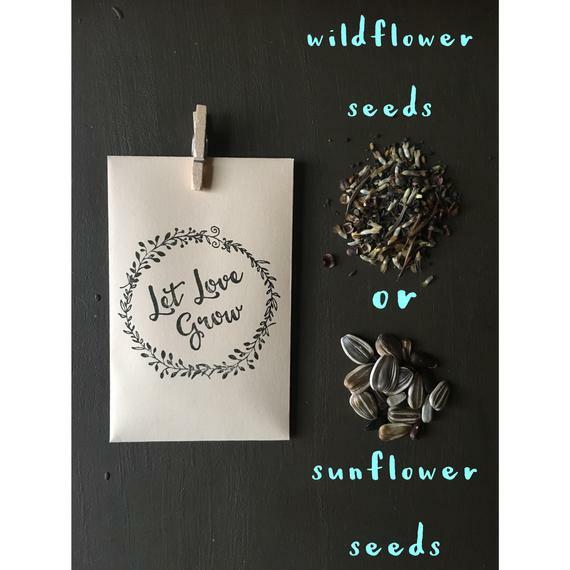 Another wonderful baby shower party favor idea is a little bag of seeds for your guests to plant and watch grow. Pretty much like your little bundle of joy. You could always send your guests home with bar of handmade soap with a personalized label. Each soap is made of coconut oil, palm oil, almond oil, olive oil, castor oil and essential oils, and you can choose from a variety of different scents such as lemon, cinnamon, apple and more. You're spoiled for choice, really! 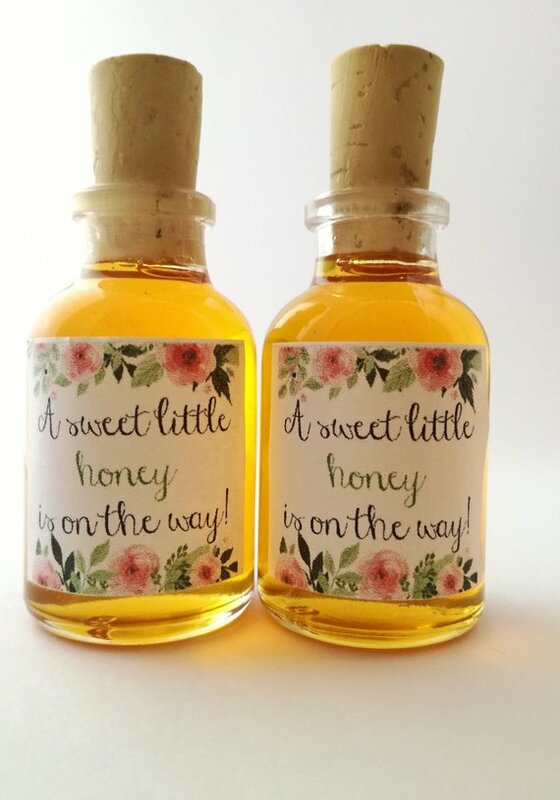 Surprise your guests with a sweet baby shower party favor, like one of these adorable little bottles of honey. Each glass bottle holds 30 gr / 1oz of tasty organic wildflower Greek honey. All unfiltered and natural. 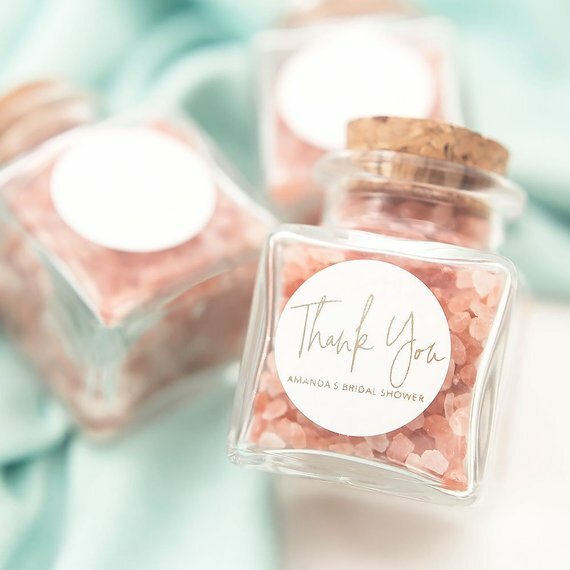 Similar to the bath bomb party favor we suggested earlier on in the post, these pink Himalayan bath salts also make a wonderful baby shower party favor that your guests can indulge in. Spoil them to their own little glass jar of heaven! 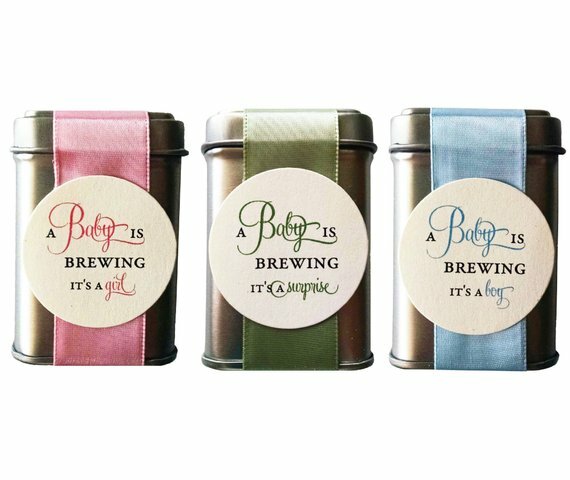 To finish off our baby shower party favors, we've added these unique little tins of tea for your guests to take home and enjoy. Each tin contains loose leaf fruit mint decaf tea and an adorable 'A baby is brewing' label. The perfect gift for cold winter nights!